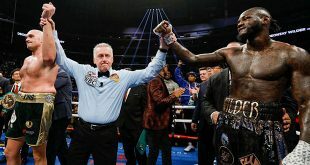 Zab Judah was involved in yet another boxing debacle last night but this time it had nothing to do with the bad behavior that the former two-weight world champion has become famous for. At Fitzgerald's Hotel and Casino in Tunica, Mississippi, the Brooklynite met durable journeyman Ruben Galvan in a scheduled ten round welterweight contest that was to serve as Judah's first fight back after losing to Floyd Mayweather a year ago and serving a one year suspension for touching of an in ring melee during that bout. 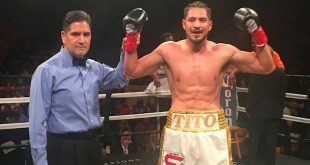 Coming in, Galvan, 27-11-2 (10), had lost four of his last seven bouts and none of those seven contests were against anyone remotely world class so this was never going to be a competitive contest, just a tune-up for Judah, 34-4 (25), before his upcoming fight with WBA Welterweight Champion Miguel Cotto in June. Once the bell rang, Judah went right after Galvan and with the first punch thrown, the journeyman had suffered a bad hairline gash that was ruled from a Judah elbow; the fight was stopped and declared a no contest. 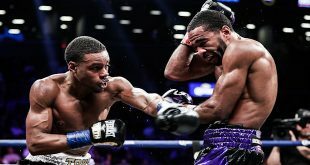 While Galvan was a safe choice for Judah to get back in the swing of things against, he was also a durable veteran and expected to provide "Super Judah" with some much needed rounds. With less than a minute of action against Galvan, by the time Judah clashes with Cotto, he'll have to shake off 14 months of ring rust. In other action on the bill, Rayonta Whitfield, 17-0 (8), banged out a unanimous decision over Jonathan Perez, 12-2 (9), to cage the vacant WBO NABO Flyweight crown.